Out now the evolution of e-motion the NEW M25. Offering extra power and a lighter weight. 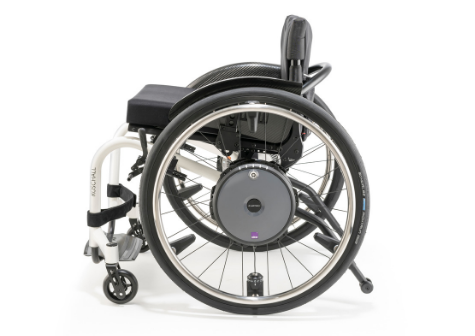 The E-motion is one of the few active power add-on drives that can be individually adapted to suit the needs and driving behaviour of any individual using a manual wheelchair. Each wheel weighs only 7.8 kg, a huge 33% reduction from the M15. Ideal for active individuals looking for a powerful and versatile mobility solution to suit a busy lifestyle, e-motion M25 allows you to increase your range and remain active while going easy on your muscles and joints. The e-motion power drive is unlike any other product on the market and is compatible with almost all wheelchair models and can be retrofitted at any time. Don’t let hills put you off the e-motion will get you there and more importantly can now manage heavier user weights (up to 150kg). The driving sensors in the e-motion unit, mean that both less physically active individuals with limited hand function as well as stronger individuals can experience the same level of comfort, therefore the e-motion M25 is a truly inclusive piece of kit to support most users active lifestyle. To safely overcome inclines, e-motion features a patented rollback delay that keeps the wheelchair in place, allowing you to comfortably change your grip before continuing on your journey. Because of Lithium technology, you can now benefit from a speed of up to 8.5 km/h*. What’s more the new e-motion M25 is available in three wheel sizes: 22″, 24″ and a new 26 inch version is now available. Now you can take advantage of the smartphone app with the cruise control function, which allows you to keep a constant, set speed with a single push – even going up steep inclines!  The free e-motion M25 smartphone app also allows you to track battery charge level, the current speed and mileage, fault indications as well as recommending solutions.